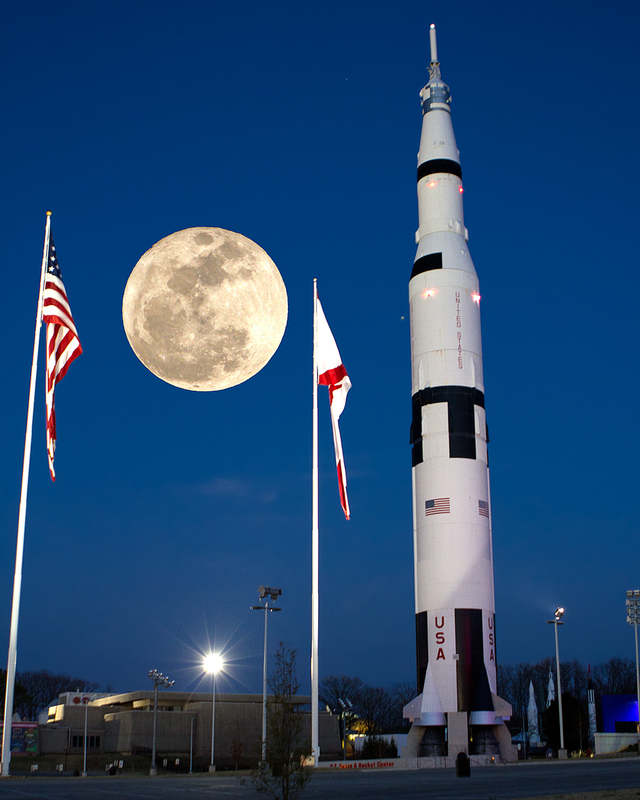 The U.S. Space and Rocket Center in Huntsville is about as close as you can get to booking a trip into space for your student travel group. Rocket Center (USSRC) in Huntsville, Alabama? Previously using “Watercress Capital of the World” as its claim to fame, Huntsville became revitalized and rebranded in the 1950s. Now it’s the place where rockets are born: the Rocket City. Since its inception by pioneering rocket scientist Dr. Wernher von Braun, the USSRC has served as a place where anyone, not just engineers and astronauts, can see artifacts from America’s space program. Nearly 16 million people have toured the center since it opened more than 40 years ago. Today’s Space and Rocket Center is more than just a look-and-see museum; it’s a hands-on science-fest, complete with IMAX movies, live demonstrations and loads of interactive exhibits. 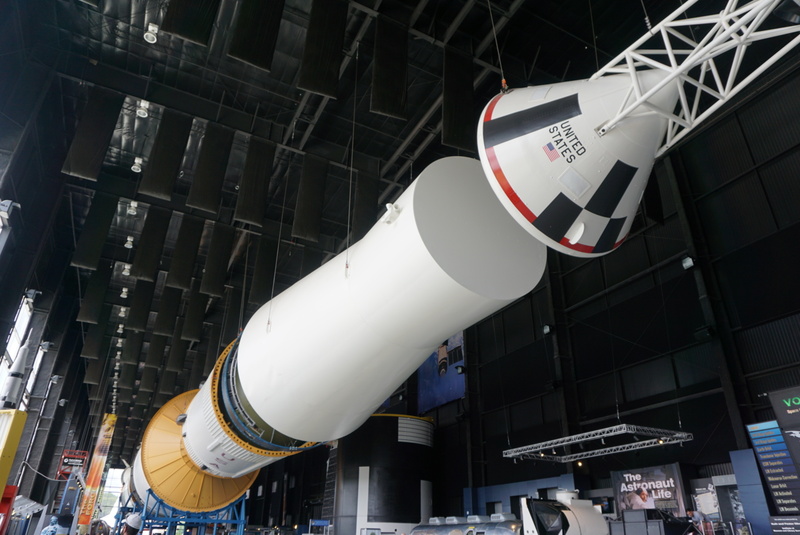 What Can My Student Travel Group See at the U.S. Space and Rocket Center? Groups could easily spend an entire day, if not more, experiencing just the permanent and featured exhibits at the U.S. Space & Rocket Center. Kids can see an actual Saturn V rocket, one of only three on the planet, at the Davidson Center for Space Exploration. They’ll also learn about the history and future of space exploration, as well as what this program is currently up to. At the Rocket Park and the Shuttle Park, visitors can view a collection of 27 missiles, the only fully-stacked Space Transportation System in the world, and several launch vehicles. These two parks show the space program’s Army rocket origins, and kids will be amazed at the feats of engineering and technology that it took to get it off the ground. Nothing captures an audience quite like a show, so it’s fitting that the USSRC has three theaters ready for guests to enjoy. The 67-foot dome screen of the IMAX Spacedome Theater is currently showing two movies: Journey to Space and Living in the Age of Airplanes. The National Geographic Theater, with its 52-foot screen and 3D capabilities, also puts on quite a show; current titles include Hidden Universe 3D, Jerusalem and Robots 3D. The Discovery Theater gives groups the real-live performance experience, with three live shows each day. These presentations feature a fun and lively tone and interactive, hands-on demonstrations. Does the USSRC Have Any Special Programs Coming Up? The Space and Rocket Center doesn’t just rest on its permanent installations; it also hosts a variety of featured exhibitions. Science Fiction, Science Future gives kids an interesting premise to ponder: could the staples of sci-fi storytelling become reality? Will invisibility, holograms and augmented reality be just round the corner? Meanwhile, 101 Rocket City Inventions stays a little closer to earth by celebrating the bright ideas of local thinkers. Prepare to be amazed at the variety of ideas that were born in Huntsville, from a poultry-watering system to genomic sequencing. Anyone with an artistic side will want to see Celestial Dreams: The Art of Space Jewelry. This exhibit is dedicated to the work of artist Kathy Chan, who uses gems, minerals and metals to express her awe of the universe. What Will Make My Student Group Feel Like They’re In Space? What kinds of experiences will kids get to test out? The G-Force Accelerator simulates the force of three of earth’s gravitational fields on an astronaut’s body, while the Space Shot shoots kids 140 feet into the air in just under three seconds. (That’s a 4G force, by the way.) The Apache simulates helicopter battles. And the Mars Mission and Mars Climbing Wall evoke ideas of exploring an unknown planet. For younger visitors, the Kids Cosmos Energy Depletion Zone is the place to be. Little ones can use their imagination to picture themselves as astronauts being sent to the moon or flying a spaceship. Does the Space and Rocket Center Have Any Special Programs for Students? The USSRC provides several group travel and field trip options. For example, The Ultimate Field Trip is open to groups of 15 or more. This three- to six-hour experience includes the more than 1,500 artifacts at the Center, plus a guided tour of the Shuttle Park, Rocket Park and access to the museum’s simulators. Your students will get the chance to participate in a hands-on lab experience, and choose between an IMAX or a digital movie. 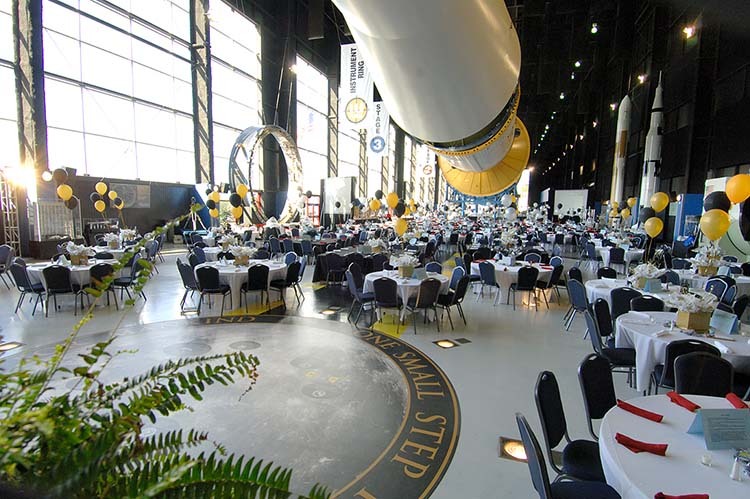 A space- or air-themed presentation and kid-approved lunch is also included. The USSRC also offers three week-long daytime camps. Each teaches kids the principles behind their chosen field (robotics, space or flight) and lets them apply it by sharing in projects. Space might one day be the ultimate field trip. Until that day comes, student groups can travel to the U.S. Space and Rocket Center, where they’ll do more than just learn about space. They’ll get as close as the can to the real thing.